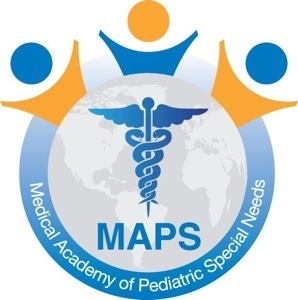 MAPS conference is wrapping up there second conference in Orlando, FL with almost 200 physicians today. It warms my heart that these doctors looking to learn to help individuals with autism and listen to family’s concerns. It is a beautiful step forward and treatment is important to the thousands of families like mine. We are seeing more in the news that children with autism often have other health problems (1.) At TACA, we’ve heard parents report this fact since we started in 2000. This effort is a positive step forward to help reach more families in need. We know feeling better helps lessens negative behaviors. Treating issues outside the autism label is one of the most important steps and requires heavy parent advocacy to achieve vital improvement (2.) For years we have seen treatment unique to the unique medical needs can change the life of the individual for the better. MAPS is an important model that is based in science and listening to families. TACA families should gear up to understand their important role and exciting new treatments to help their children. I am so excited to see this effort, how professionally facilitated to enhance professional education and how excited doctors are to help families. Will a list be posted of what doctors attended like Dan! ?? Do you know if there are any support groups for parents of kids with autism in the South Florida area like Boca Raton, Delray,etc? I am connected with Card, but thought maybe you knew of something in this area as we just moved back.